We try to anticipate questions you might have about our product/service. That's why we provide the answers 24/7. 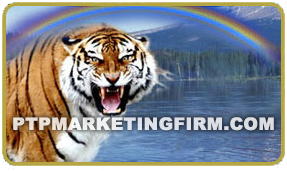 For immediate answers call 24/7 or email: ptpmarketingfirm@gmail.com. How many free consultations do we get? What is the free advertising gift? What is shared cost advertising? How many businesses can I put on the site? How do we get a discount from a company on the site? How do I get a regular job? Whats the best times to call? What type of businesses can we put on the site? How do we get a promo code? How do we get a promo ID? How do we get sponsored? How much us the referral fee? Why is there no monthly, no autohip, no yearly, no renewal? How do we stay on the site? How do you get an A+ rating on this site? How does your company keep an A+ rating on this site? Call in with the name of the author of the quotes below & you can win cash, advertising, or other prizes. "If you don't design your own life plan, changes are you'll fall into someone else's plan, and guess what they have planned for you? Not much." "Work harder on yourself than you do on your job." "Motivation is a fire from within. If someone tries to light that fire under you, chances are it will burn very briefly." "Champions aren't made in gyms. Champions are made from something they have deep inside of them. A desire, a dream, a vision. They have to have the skill & the will, but the will must be stronger than the skill." "Some people say money won't make you happy. Well, poverty won't either." "The disciplined rule the world." "Anybody who says, money don't make you feel good ain't had enough." "Every man has 2 men in him, a king, & a fool. How do you know when you found a queen? When she speaks to the king in you." "Both poverty & riches are the offspring of thought." "If you can actually count your money then you're not a rich man." "A single idea — a sudden flash of an idea — maybe worth a million dollars." "You will never become rich, until you hate poverty." "You're only one thought away from riches." "You can call me up to midnight & if you're talking about money you can call me after midnight." "You have to believe it to achieve it. " "The difference between ordinary, and extraordinary is that little extra." "They say money won't make you happy; that's because they never had any." "Be the chess player, or be the chess piece." "Many a small idea has been made big & or branded by advertising." "Creativity or being creative without strategy is called 'art' & creativity/being creative with strategy is called advertising." Quote & business tips page, will be delivered on the 1st week of each month, between the 1st & 8th. 8 months a year excluding March, August, October, and December. April/May sounding board = When you get a group of people to critique any type of project you're working on. April/May sponsor = Advertiser who pays for part or all of a television or radio program. By running one or more advertisements during the program. $♦ If It's Not Positive, Don't Say It. $♦ Read 4 to 6 days a week (average 5 days a week) — even its just 1 to 5 pages a day or up to a chapter a day. $♦ Build your business like an NFL or college football coach and/or general manager. $♦ Sale, recruit, hire, etc. and put in 8 to 20 hrs a day if that's what it takes. Example, Jimbo Fisher, Florida State's Seminoles head coach, said right after they won the BCS World Championship, "We're going to take 2 days off, then get back out there, and start recruiting, selling, & hiring, so we can repeat."